These two products are not the first from the aspiring tech mogul. In fact, Souljawatch.com—the sole retailer of the SouljaGame consoles—also sells SouljaPods wireless earbuds, the SouljaPhone HT70 (are there other versions of the SouljaPhone that we’ve somehow missed? ), and the SouljaWatch—which is, you guessed it, Soulja Boy’s apparent flagship smartwatch. In a perfect world, celebration would be in order for a 28-year-old former child music star-turned-entrepreneur creating a new wave with his indie gaming console. 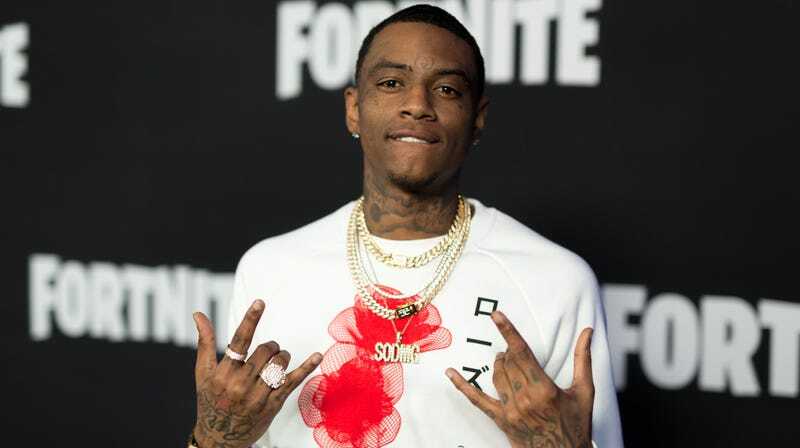 Unfortunately, this isn’t that perfect world, and Soulja Boy’s admirably grandiose dreams have materialized as merely a questionably legal repackaging of an already outdated system. Hopefully Soulja gets his dev team on the phone to work on some true innovation—there’s no way that the next iteration of the SouljaPhone shouldn’t allow users to kiss thru it.